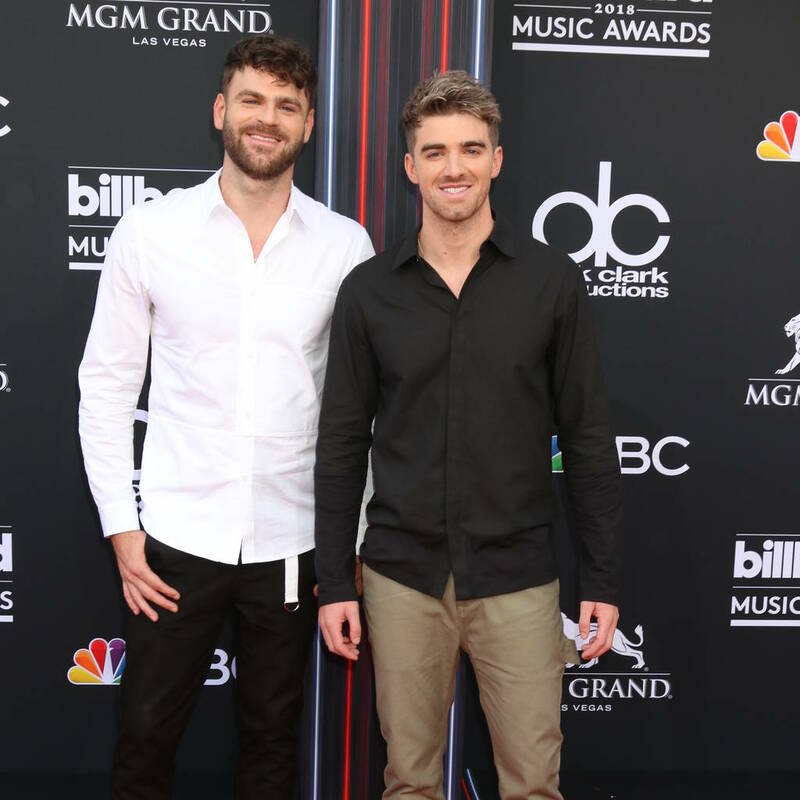 DJs The Chainsmokers are "kind of nervous" about giving hits by the likes of Beyonce, Britney Spears, and Michael Jackson dance music makeovers for a special Pepsi summer gig. The duo has been recruited to headline the Pepsi Generations Summer Music Campaign event in Los Angeles on 24 July, when producers Alex Pall and Andrew Taggart will help to celebrate the company's longtime pop partnership with a one-off set. They will perform some of their own tracks, like Closer and Don't Let Me Down, but it's the challenge of revamping old favorites by some of the soda brand's most famous spokesmodels, including late R&B legend Ray Charles, which the pair is a little concerned about. "We're kind of nervous," Pall, 33, told The Associated Press. "But lucky for us, they have (an) endless amount of songs that are extremely popular that people love to hear. We just have to figure out how to mix everything in. "I think it'll be a cool experience for us. We don't get to play a lot of Ray Charles at our shows." The Chainsmokers aren't complete novices at remixing pop classics as they perform a dance version of the King of Pop's Thriller every Halloween, but tackling tunes like Beyonce's Single Ladies (Put a Ring on It) and Run the World (Girls) will be an interesting task. "We're doing something we really never had a chance to do, which makes performing and making music exciting," 28-year-old Taggart smiled. "This is a really great opportunity for us to do that. It's a long list of people we get to choose from that has made some of the most important music of our generation – two generations." The Chainsmokers are also expected to have a few special guests join them for the big gig, which will be streamed live on Pepsi's Twitter page.